For those readers who have been to Spartanburg, South Carolina – you are bound to know that there are not a lot of exciting things happening in this city. This is not an objective opinion; it is a pretty well-known fact to which the students of the eight local colleges can attest. With the nature of my hometown in mind, I want to share a gem I found on the internet: a list published by Spartanburg Revolutionary (the local tourism department) entitled, “200 things you must do when you visit Spartanburg, South Carolina.” To come up with 200 attractions in Spartanburg is a real stretch. Thus, some of the list’s suggestions are repetitive, and others are just bizarre. I recently started organizing some of my friends to create a Facebook group entitled Spartanburg’s Must-Do List, photo-documenting the actual implementation of these 200 suggestions. Spartanburg seems to be the type of place where anybody who is somebody tries to avoid. Once in a while, some political candidates will ride through on their buses and stay for a few hours – eat some hamburgers, shake some hands, ask for votes, etc. When I was searching for a book about Jordan, a wide assortment of political memoirs and biographies popped up on the Amazon site; including those of King Hussein, King Abdullah, and Queen Noor. It was then that I remembered a point in my childhood when my sleepy hometown awoke to prepare for the visit of Queen Noor. I was fascinated by the idea of a queen visiting my town not because of childhood fantasies of grandeur but rather because I just couldn’t put my head around the concept of a monarchy. In the end, I decided to set aside the political memoirs and biographies, as they have never been my favorite genres. I also found a memoir which I believed trumped them all: Marguerite van Geldermalsen’s “Married to a Bedouin.” This western woman left behind all modern conveniences to marry a Jordanian and live in a cave in Petra, Jordan. Once I read the description, I was fascinated: Having been abroad, I tried to imagine what sort of person would make this sort of life-changing decision. The book is a memoir and shares not only the culture of the Bedouin but – perhaps just as interestingly – also the story of a young nomadic woman finding a fixed and stable community with the Bedouin. While traveling the Middle East with her friend, New Zealand-born Marguerite finds herself falling in love with her Bedouin host, Mohammad, and decides to stay in Petra. I was very interested to compare her “western persona” and her “Bedouin persona.” Her western persona is unfettered, as she travels around the world without roots. However, after deciding to remain in conservative Petra, it seems as if she truly begins to find herself as a productive member of a community. She lives in a cave, learns Arabic, works as a nurse in Petra, brews tea in the mornings, bakes over a fire in the afternoons, gets married, and starts a family. Eventually converting to Islam, she even takes up the conservative traditional style of dress of the other Bedouin women. While her book offers many insights, I would like to learn more about other issues regarding Jordan. While the book mentions conflict in passing (basically saying that conflict did not affect the Bedouin way of life), I know that conflict is bound to have a more far-reaching effect. 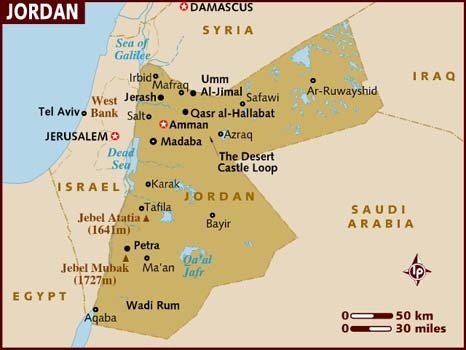 For those who are from Jordan, I would love to hear: (1) the impact of conflict in your country and your society; (2) the importance of the Bedouin in history and in the modern day; and (3) which parts of the Bedouin life do you think are the most important to preserve. This is a truly fascinating read. 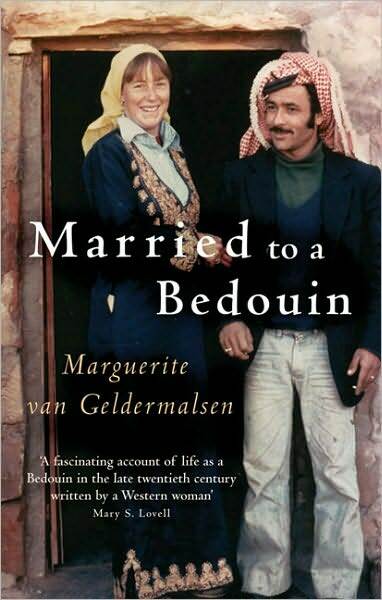 Marguerite van Geldermalsen describes the Bedouin culture through the eyes of a westerner, but also through the eyes of an insider. Her insights provide amazing details of this way of life, which today cannot be found inside the caves of Petra. For readers of the book, I would like to ask: (1) How did the author transform through the book? At what point in life do you find her most likeable? Why? ; and (2) How did the concept of “community” affect the author? What is the importance of joining a community?